Milton Keynes site spans 1,700 square feet. 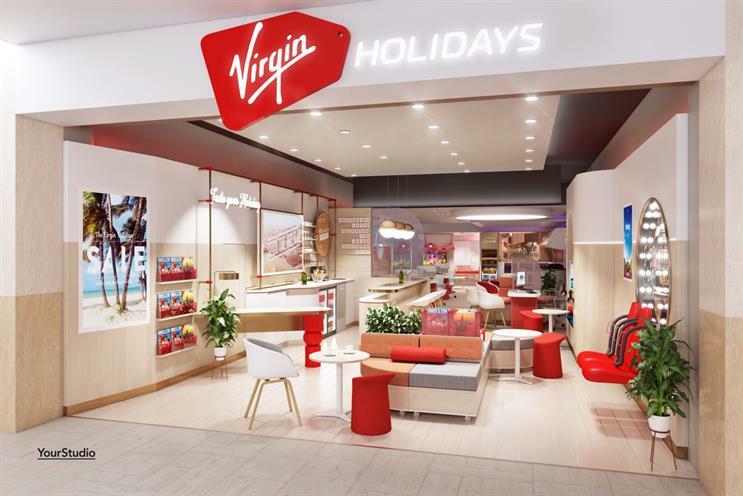 Virgin Holidays has created its largest and "most experience-led store concept" in Milton Keynes with a bar, spa and rollercoaster simulator. The space is the latest of the brand’s stores and covers about 1,700 square feet. It was designed by YourStudio and aims to give people a "holiday ready" feeling. Customers are welcomed by a virtual reality rollercoaster at the front of the store that is designed to offer "a theatrical and immersive way to travel the globe". There is also a chance to experience the different passenger classes on offer on a Virgin flight. The store includes a space for guests to book a complimentary manicure, as well as an area to keep children occupied. Lee Haslett, vice-president of sales and product at Virgin Holidays, said: "We’ve been revolutionising the way our customers book their holidays for several years. "We know that our customers are looking for something more than just a standard holiday and our V-rooms are the first step on that journey – whether that’s the in-store bar, children’s play area or rollercoaster simulation. I’m excited that we’re able to bring our V-room concept to Milton Keynes and I can’t wait to see what our customers think of our first-ever in-house spa."